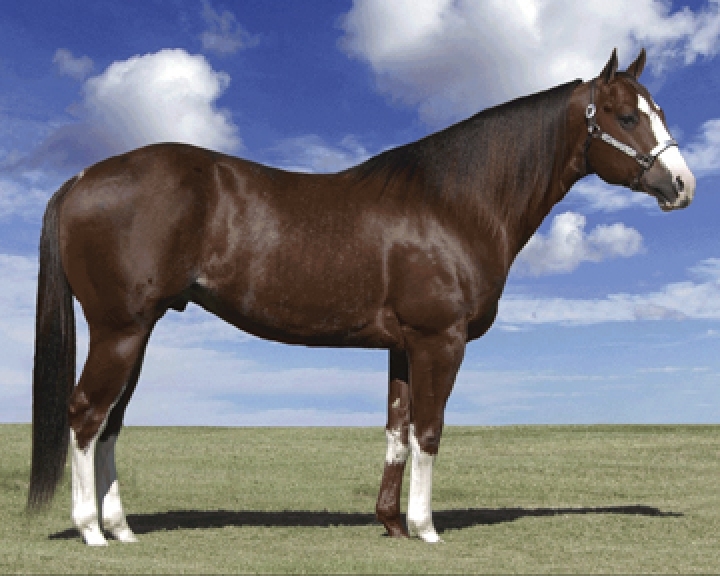 Nick is an extremely versatile horse that has amazing athletic ability, not only does he pass this athletic ability on to his offspring he also passes on his beautiful color and looks. All of our "Nick" babies have great easy going personalities, they are smart, quick learners and they want to please you!! Nick portrays the typical "Flit Bar" characteristics with the speed from his dam's side he has all the ingredients you need to produce the ultimate barrel horse. We are so thrilled to have him as a part of our breeding program, he has so much to offer to any one and their breeding program. He is the Ultimate Out Cross to all your DTF, Frenchmans Guy, Dash For Cash and Streakin Six bred mare's, you can't go wrong when your breeding to "Nick"!! !